For decades, salsa was typically thought of as nothing more than a dip for chips – but no longer! Salsa is (and always will be) one of the most versatile dishes you can add to your kitchen arsenal. If you haven’t tried it as a topping on your meat or fish, an addition to your salad, or even as a stand-alone side dish, let this post be your guide to salsa bliss. Aside from being a great way to flavor up your food, salsa adds a ton of nutrients and health benefits to your meals! With the array of salsa variations, we know it can be difficult to choose a single recipe. To help you out, we’ve hand-picked five of our favorite salsa recipes for you to put to the test. Find yourself serving store-bought salsa at summer gatherings? 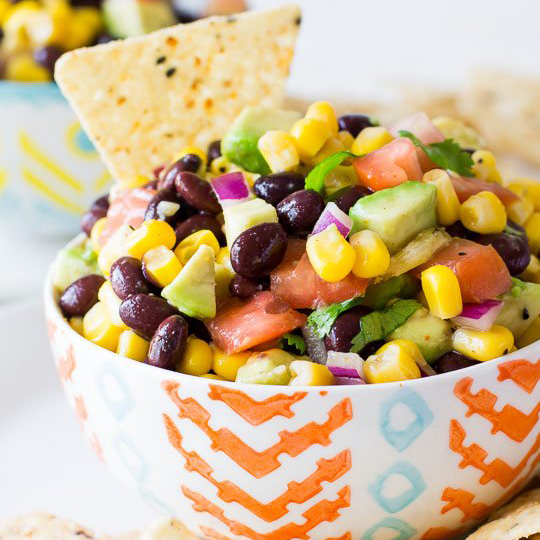 Step up your salsa game with this fresh corn and avocado recipe made in just 10 minutes! Not only is it much tastier, it’s also free from added sugar and preservatives. Adding protein to your day doesn’t get any easier than this White Bean Salsa recipe! Made in just 10 minutes, you can easily prepare in bulk and use this salsa throughout the week as a mid-day work snack or a simple side dish on busy weeknights. 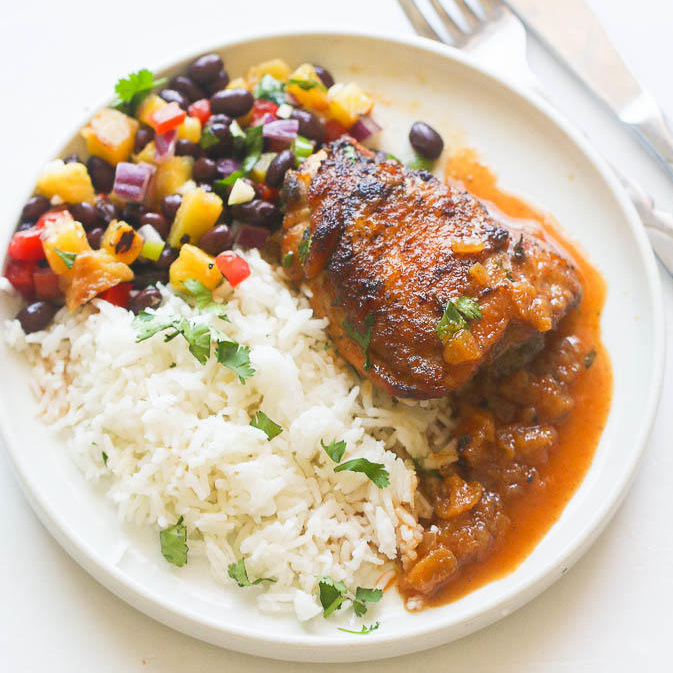 While it’s likely that you’re not used to a salsa that pairs sweet and savory, this recipe will immediately become a refrigerator essential during the summertime! Healthy, high-protein and full of seasonal flavor, this grilled pineapple and black bean salsa is ideal to have on-hand to add on top of fresh fish or meat. While salsa is typically loaded with nutrients from veggies, it’s often lacking in protein. With this unique recipe, you’ll be able to get the best of both worlds! Packed with tons of healthy protein and fiber from garbanzo and black beans, this recipe contains all the essential components of a healthy summer snack. With only five simple ingredients and one step, salsa doesn’t get any easier than this! 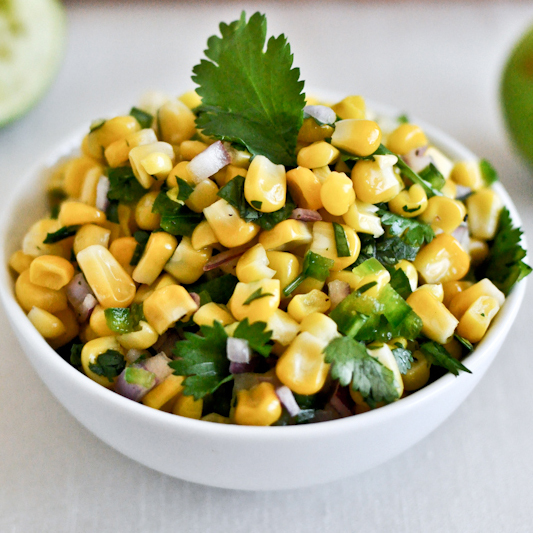 Simply combine organic corn, onions, jalapeno, cilantro with fresh lime juice and you’ll have a vibrant, nutritious pre-dinner appetizer in just a matter of minutes. After giving these five recipes a try, you’ll want to add salsa to all your summer meals! Have any tips on ways to work salsa into mealtime? Share your ideas with us on our Facebook or Instagram page for your chance to be featured on our page.